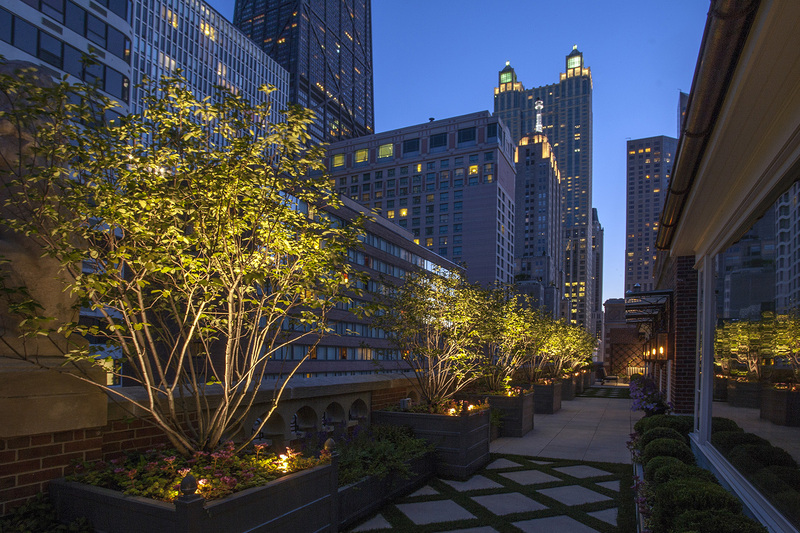 Originally built in 1919, this balcony features dramatic views of the Chicago skyline. 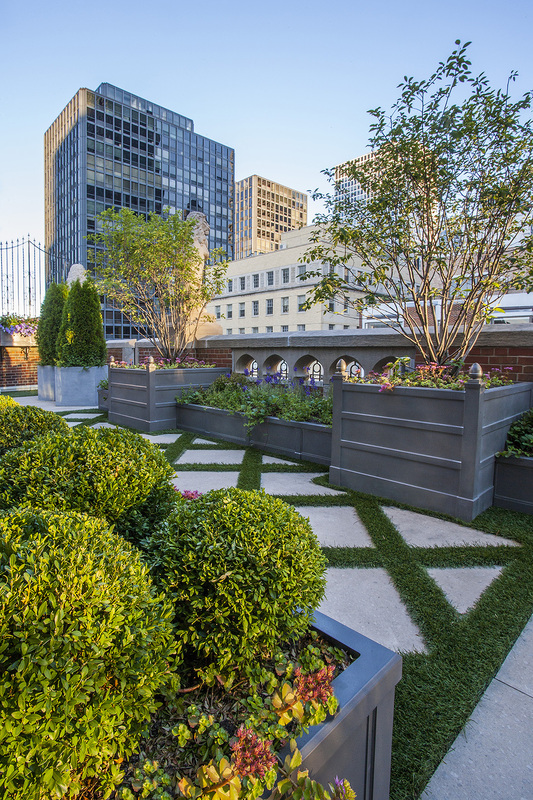 Mariani partnered with Morgante-Wilson Architects to add some contemporary flair to this historic space. 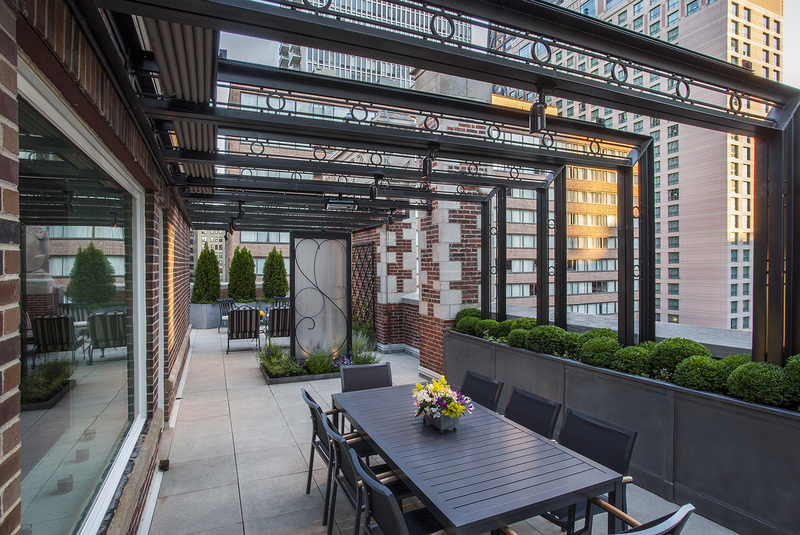 Pergolas were built to create the illusion of outdoor rooms. 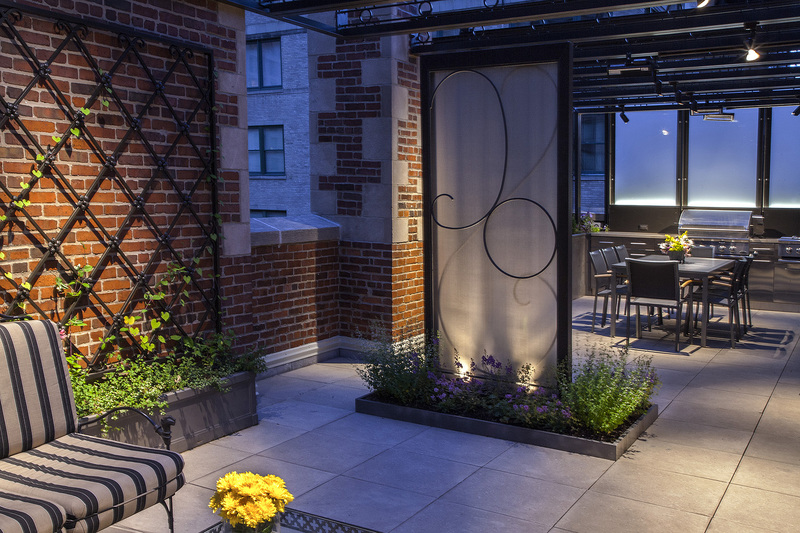 For entertaining, a rooftop dining area was placed on the terrace’s west end against a wall of frosted panels to provide privacy. 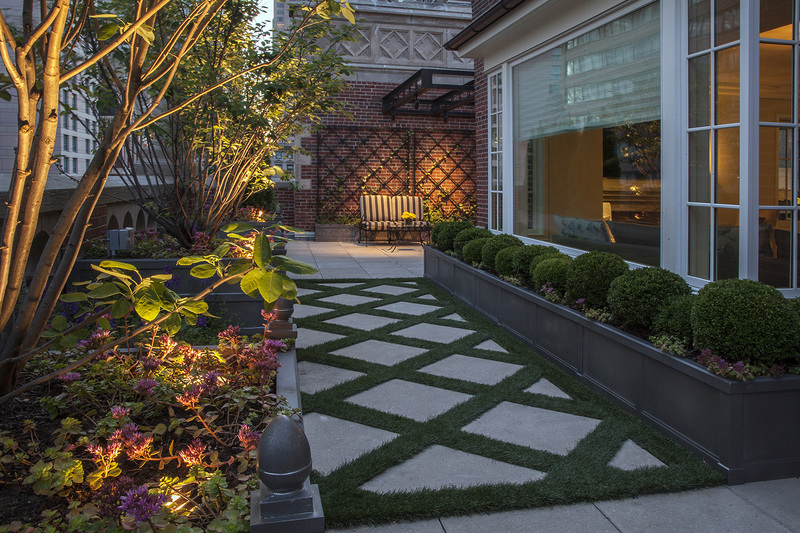 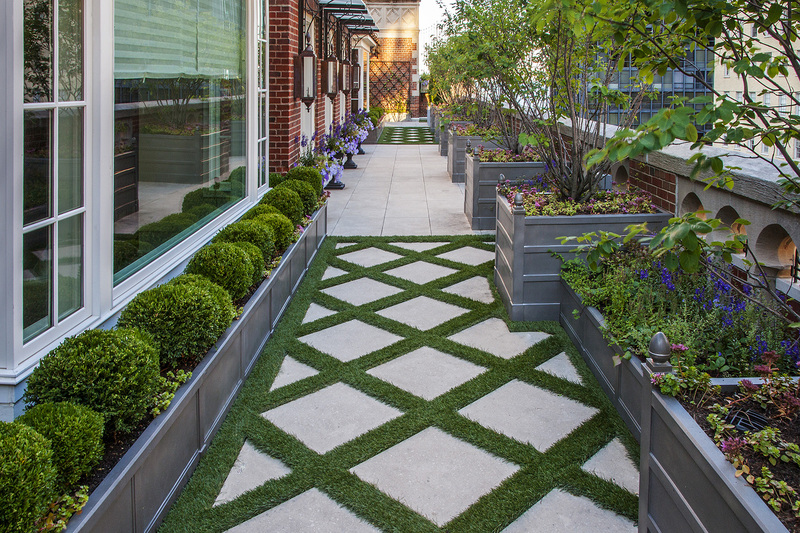 Landscaping the terrace called for foliage that could withstand Chicago’s blustery winds. 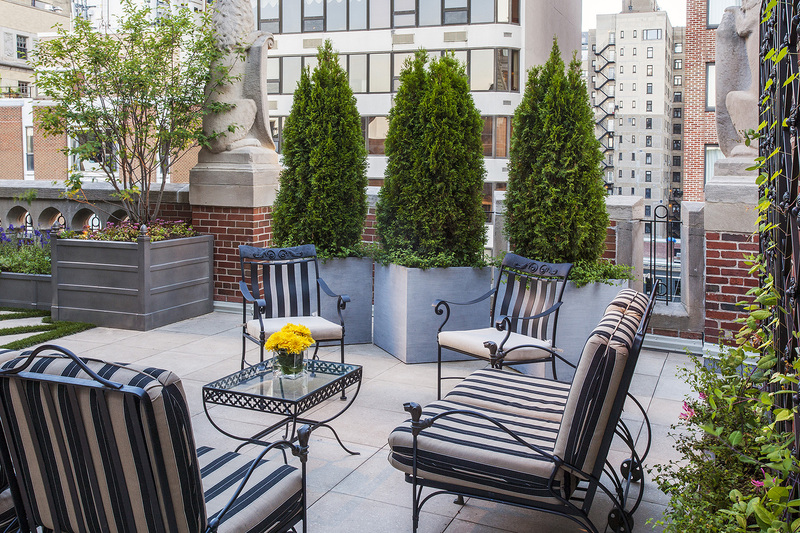 Planters and window boxes were strategically placed in order to preserve the spectacular view while maintaining the homeowners’ privacy.